“…She felt the Joy in her heart & thanked MOJ for their music.” Wuhan City, China | Realise the World! That morning the rain cooled down everyone after tropical hot days or weeks. Our performance in the open near in Wuhan near the Yang Tse river on the previous evening had been blessed with a nice sunny weather vibrated with a refreshing breeze. The second program in Wuhan was scheduled in the central atrium of a shopping mall of 5 floors which on one side displayed the head of the Statue of Liberty and the Eifel Tour on the other side. The mall resembles any shopping mall with many modern shops and a lot of people walking about. We arrived early to do the sound check and suddenly found ourselves facing ourselves pictured in the large MOJ stage backdrop. Then we were invited by the Wuhan Sahaja yogis for an afternoon tea in a cafe. We were again treated to the most delicate attention by our brothers and sisters as we were served delicious teas, cakes and fruits in a very relaxed and friendly atmosphere that settled our nabhi in a beautiful manner before the concert (just a couple of hours after the most sumptuous lunch on our excursion at Wuhan University). Well before the concert began, passers-by started flocking in front of the podium and filling the seats. About 200 people were greeted by the MC, a young lady who is a news presenter for one of China’s big new channels. In addition to people seated or standing in front of the stage, there were people standing on the balconies of all the 4 levels looking down over the stage. The total number of listeners would have been in the vicinity of 400 – 500. The evening started with the auspicious worship of Shri Shiva with the song Bolo Shiva Shiva Shambhu followed by Raining on the Rock (after which some of the audience members were cheering enthusiastically)… By the third song Xiao Cao, the Vibrations started flowing in the heart and definitely expanded with this Chinese song which was greeted joyfully by the clapping of the audience. In fact every place in China that we have sung this beautiful praise of Mother Nature, the audience has expressed their heartfelt appreciation by applauding even before the first line has been completed. Kindle My Heart touched the string of everyone’s hearts to melt it in the Divine Bliss. The MC kept the attention of the crowd alert by making the event interactive and she asked people to tell about their feelings about the concert. One lady said that she actually did feel the Joy in her heart and thanked MOJ for their music. Another lady said that she had been very much touched by the singing and especially with the 4 ladies melodious voices. She also asked if we could sing another song in Chinese language (Music of Joy later combined with the Chinese Yogis to sing Pass It On in English and Chinese). All the Kundalinis raised high with Jogawa followed by Tuma Mina (African) which kept us in silent meditation… The evening reached its climax with Siyahamba followed by Nirguna Nirmala with everyone (youngsters and elders) dancing, clapping and enjoying in total freedom of their Spirit (unbelievable to think that we were in a suburban shopping mall!). After the concert Shaolin, the Sahaja coordinator of Wuhan, offered MOJ a long scroll bearing the signature of everyone involved in the preparation of the MOJ events (as it was unfurled to a length of at least 4 metres, the vibrations got stronger and stronger), and of course inviting us to come back next year! 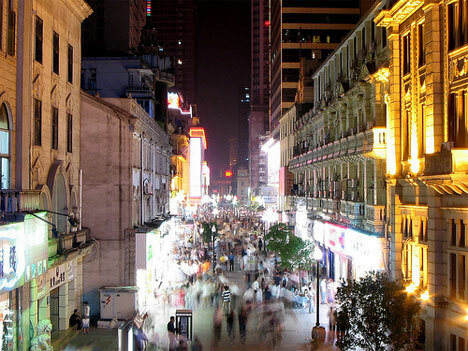 Wuhan is in the very centre of China and represents the Centre Heart of this wonderful country. We have certainly felt a very strong, beautiful heart here. Jai Shri Mataji! Thanks so much for your music and love. We are trying to upload all the photoes, records and videos on the website below. Heart is filled by Joy .. to see and hear GREAT NEWS FROM ” REALISE THE WORLD ‘..
You guys are doing a terriffic job..
What a blessed people you are .. :)..
Mother’s love is alwayzz.. with u .. here , on this earth and in Sahastrarloka..
Lots and lots of luv..